Remove the new spool from its packaging, and place desiccant pouch in the corner of the dry box. Note: It should NOT be necessary to add more than one desiccant pouch to the dry box. Place new spool on the dry box spindle and attach magnetic retention cap onto the spindle. Place the spool and spindle in the dry box. 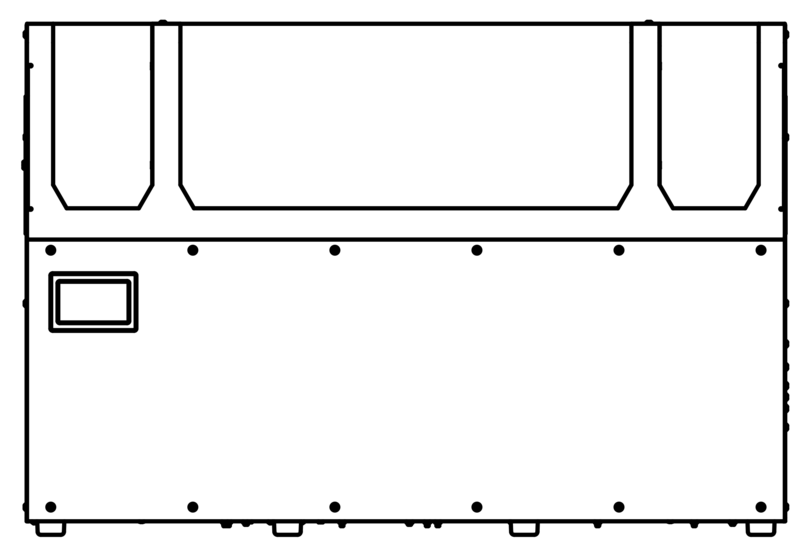 The metal shaft should rest in the sheet-metal V-Grooves. 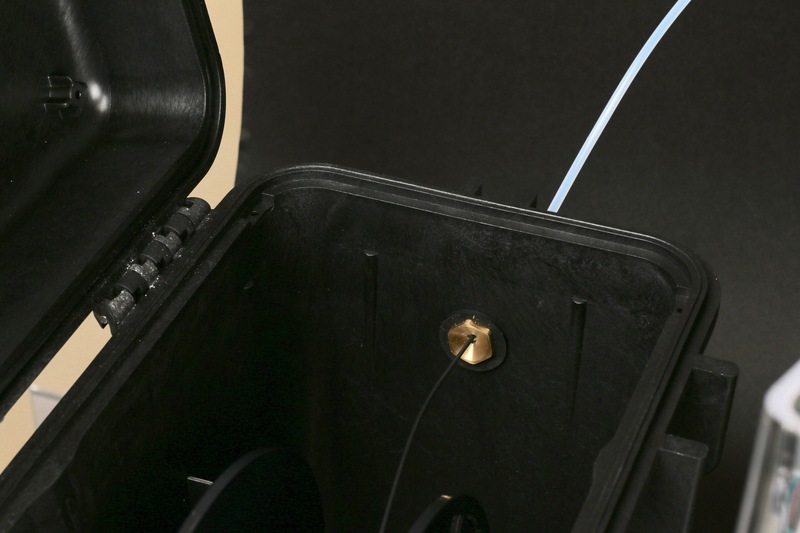 The plastic filament should exit off the top of the spool, straight into the brass feed guide at the side of the dry box. Note: The plastic spool is wound under tension. Always hold the plastic against the spool to prevent unwinding during the loading routine. Do not allow the spool to uncoil. Spool some Plastic off of the spool and into the Filament Feed Tube such that it is poking out of the other end. 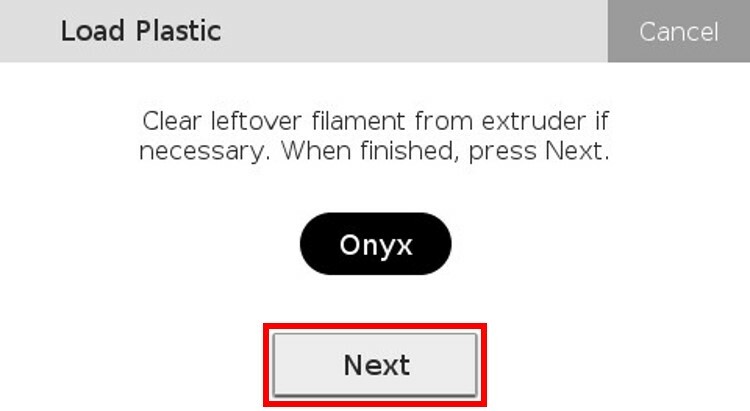 Note: Make sure the Plastic Dry Box Remains closed and latched at all times except when quickly loading or replacing filament. Feed the Plastic Feed Tube through the slot in the back of the Mark Two and into the Plastic Extruder. Material metering is a process carried out by your printer to track how much material is used during printing, and to therefore determine how much material you have left on a spool. 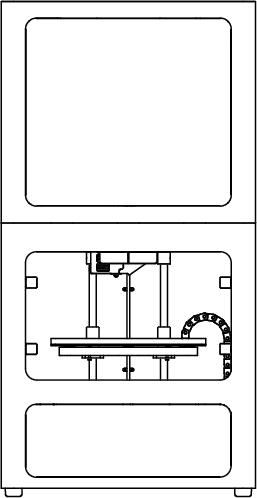 In order for material metering to work, the printer has to be told how much material is on the spool when the filament is loaded into the printer. 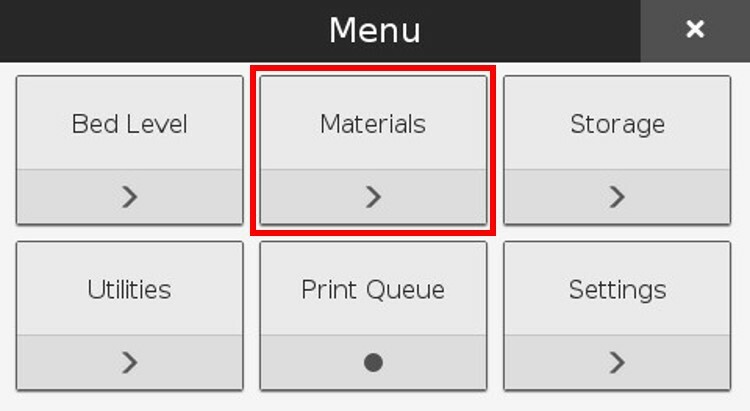 With your Mark Two, you can use the Meter Load routine to tell the printer how much material you are starting with. From there, the printer will keep track of the rest and can even warn you when your print may require more plastic than is loaded. 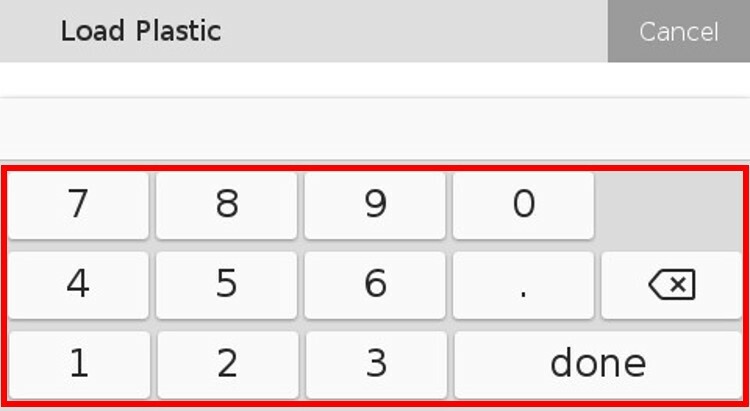 Select the "Load Plastic" tile to begin the load plastic routine. 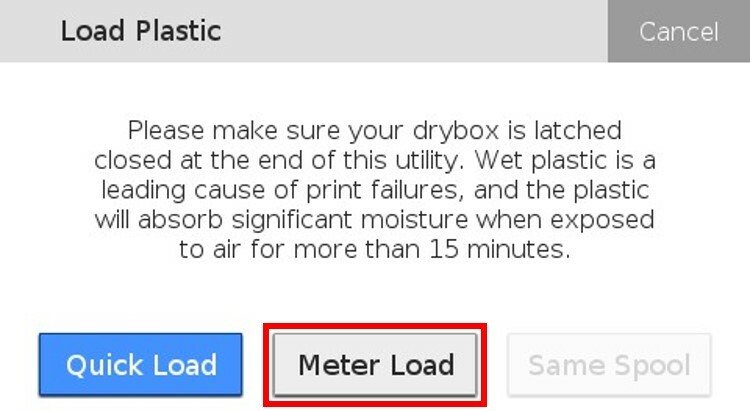 Select "Meter Load" on the printer's touch screen. 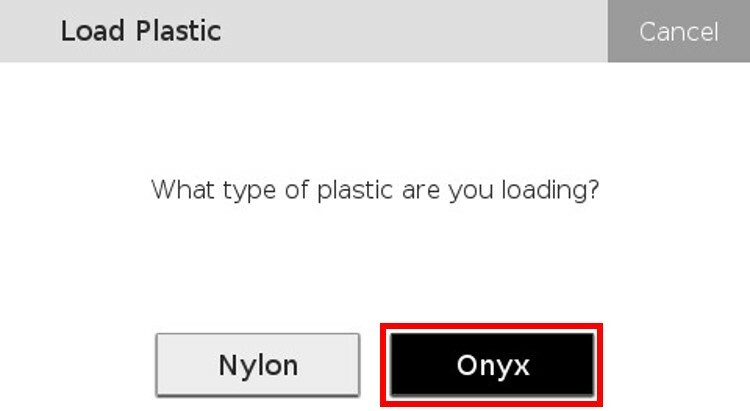 Select the plastic you are loading into your printer. 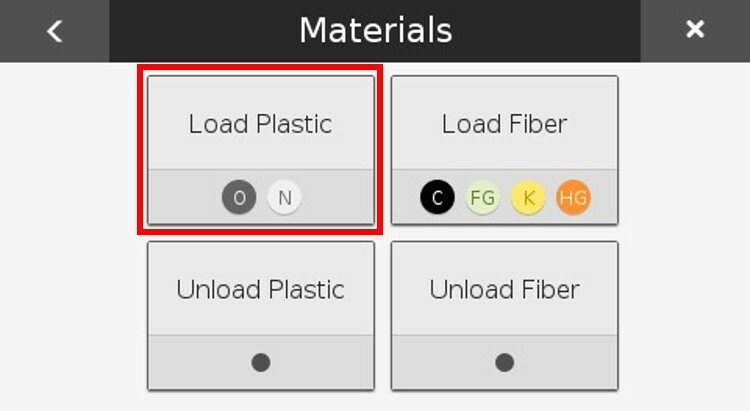 Select the type of spool you are loading. Note:Only select "Full Spool" if you are loading a new 800cc spool of material. 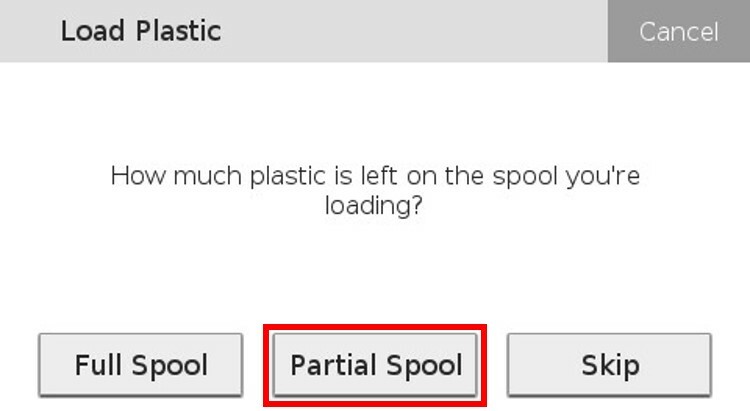 For any other options, please select "Partial Spool". 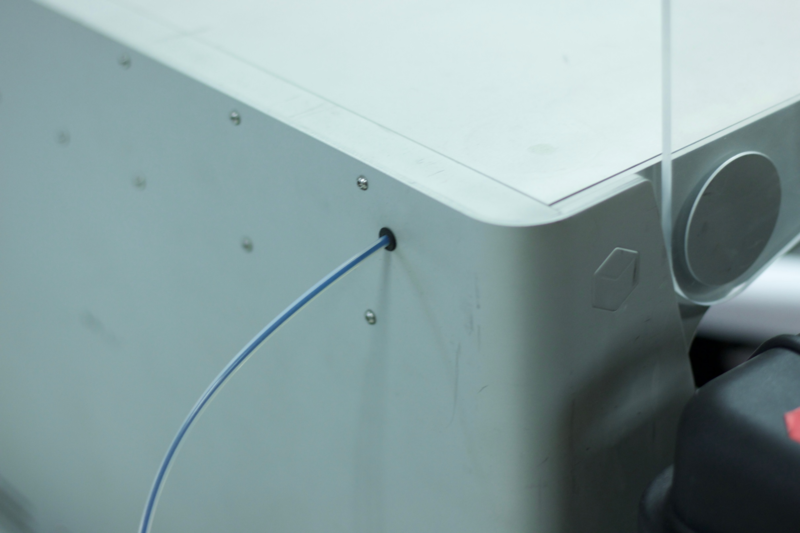 Remove your material spool from the dry box and set the white plastic spindle aside. 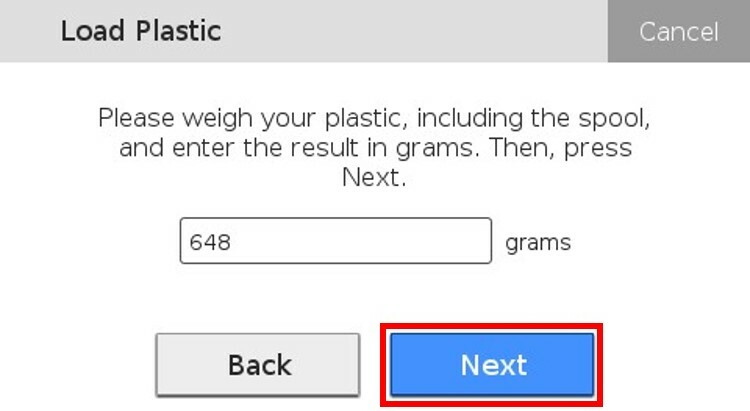 Weigh the spool of material, in grams. Note: The printer will automatically subtract the weight of the black plastic spool to obtain the weight of the material itself. Input the weight of the spool into your printer's touch screen and press "Done". Press "Next" on the printer's touch screen. 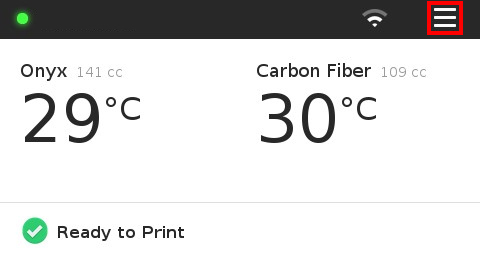 Wait for the print head to heat up and press the "Next" button on the screen. Feed the material from the Plastic Feed Tube into the Plastic Extruder. 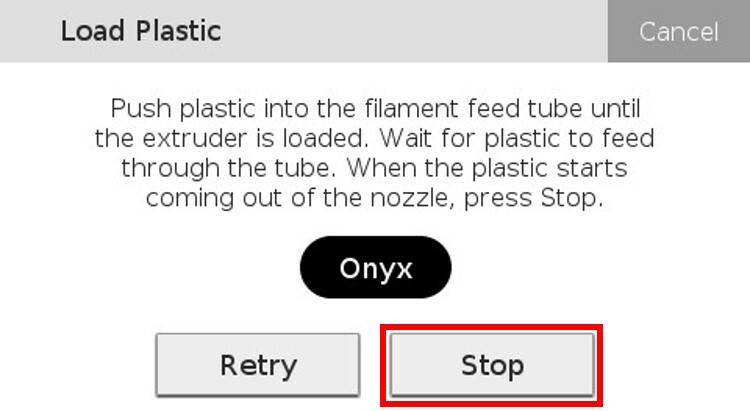 Wait for the plastic filament to move through the Plastic Bowden Tube and press "Stop" once the material is extruded through the nozzle. Note: The Plastic Extruder will start to click as material is extruded through the nozzle. This is normal and expected behavior for the material loading process. Use tweezers to grab and remove any extruded material that gathers on the nozzle. 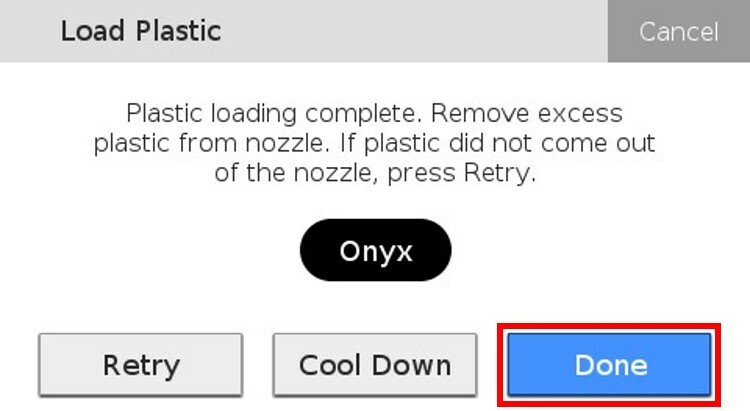 Press "Done" to exit the utility or press "Retry" to continue extruding material. If you do not want your printer to track the amount of material that is left, or if you don't have the available resources to get the weight of the spool, the printer allows you to run a quick load routine. If plastic is loaded with the quick loading routine, your printer will not be able to display how much material is left, nor will it be able to alert you when your printer is running low on material. 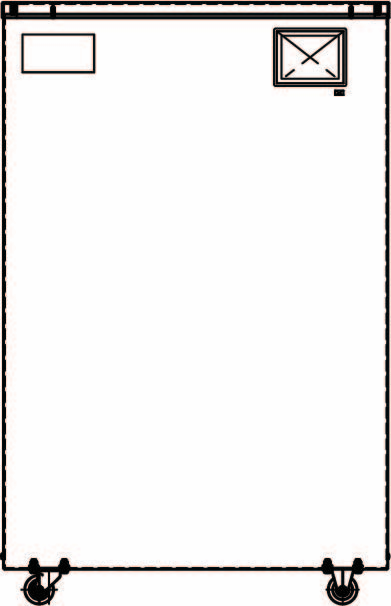 Select "Quick Load" on the printer's touch screen.